Stephen C. Behrendt is presently coediting Approaches to Teaching British Women Poets of the Romantic Period for MLA. G.E. 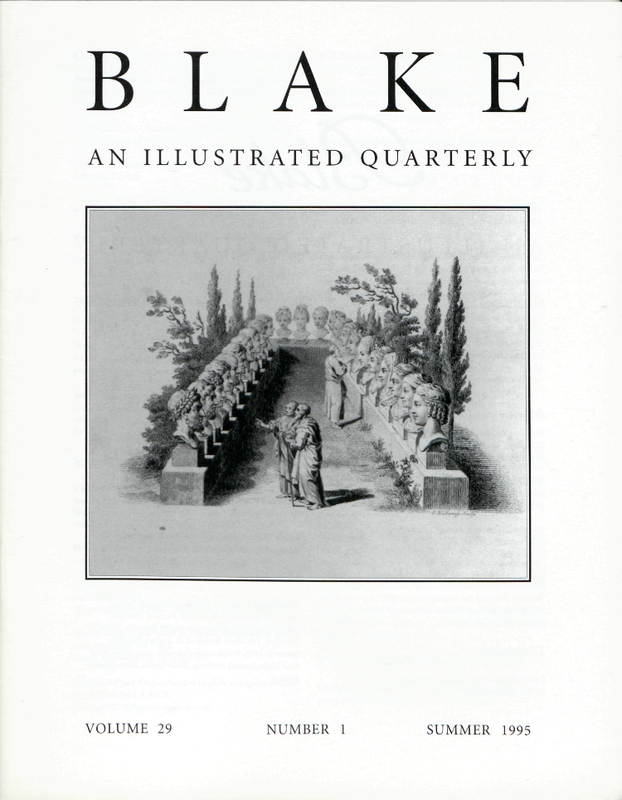 Bentley, Jr., University of Toronto, is currently engaged on a biography of William Blake. Alexander Gourlay teaches English at the Rhode Island School of Design. Lauren G. Henry is a doctoral student in English at New York University. She is currently working on her dissertation, a study of romanticism, abolitionism, and the African writer. J. E. M. Latham is a tutor for the Open University in London. Her publications are mostly in the field of English literature, and she is now researching radicalism in the early nineteenth century. David Punter is professor of English at Stirling University. Warren Stevenson, University of British Columbia, is the author of Romanticism and the Androgynous Sublime (in press, Associated University Presses). Joseph Viscomi teaches English at University of North Carolina and is author of Blake and the Idea of the Book. He is currently coeditor, along with Robert N. Essick and Morris Eaves, of the electronic Blake Archive. Cover illustration: Detail of Lavater, Essays on Physiognomy [second edition] Vol. II (1810) titlepage.